The wait is over. 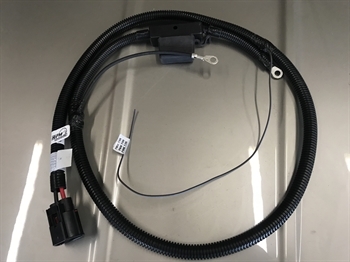 We now have a complete plug and play harness for the pentastar fan. It somes complete with a factory connector and 50 amp fuse. This harness will connect the fan directly to the battery just like factory and has a seperate wire lead for the fan control. Our LS kits are compatable and have full PWM fan controls built in. If you want to use this on a different application please contact us first.